Relax and enjoy painting this beautiful palm design in greens and tan. 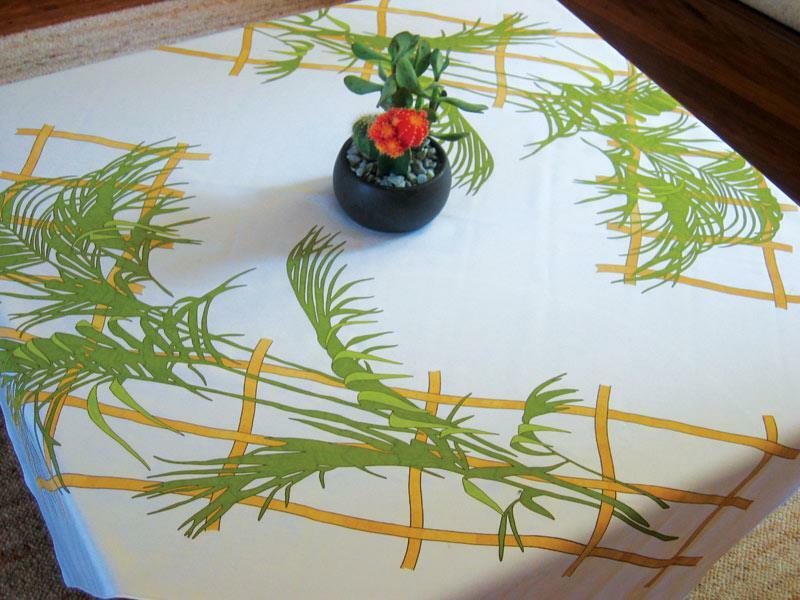 This Palm Tablecloth is also great for beginners as it's very easy to paint with no blending required. Colour-charted in these colours:12, 67, 76. Printed on white polycotton and measures 110cm square with a rolled edge. Recommended to use with a Hobbytex Oval Hoop whilst painting.